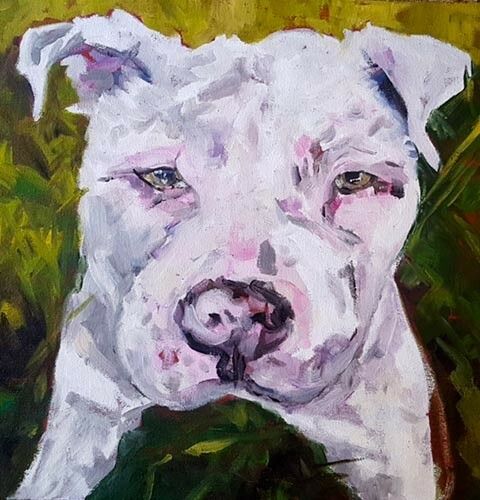 Karrie Baas’s life working in the Arts is a success story. 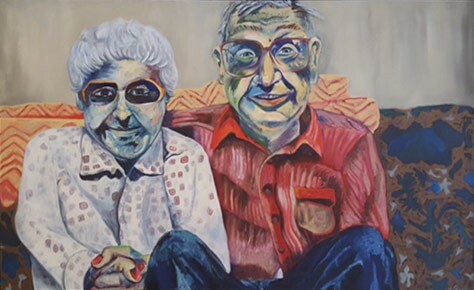 An artist by nature and profession, Karrie wanted to enjoy her love of painting without the constant pressure of financial concerns. She developed her gallery and framing business to support her artist self. Karrie has been a Seattleite for over 30 years. When her partner, Margaret, received a coveted job offer, they decided to relocate here. In 1990, as Margaret settled into her new professional life, Karrie enrolled in Cornish College of the Arts. Five years of study yielded a BFA in Painting, printmaking, and photography. Initially, Karrie thought she would pursue photography and was looking for a space that could accommodate a dark room. However, with the advent of the digital age, the dark room seemed unrealistic and she abandoned the plan. Instead, she settled into a painting career. 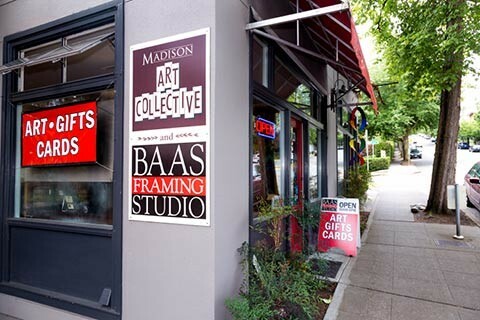 In 1995, when Baas Art Gallery and Framing opened along East Madison Street, the business community was just beginning to polish its rough edges. The commitment to beginning a business here was a bold move. 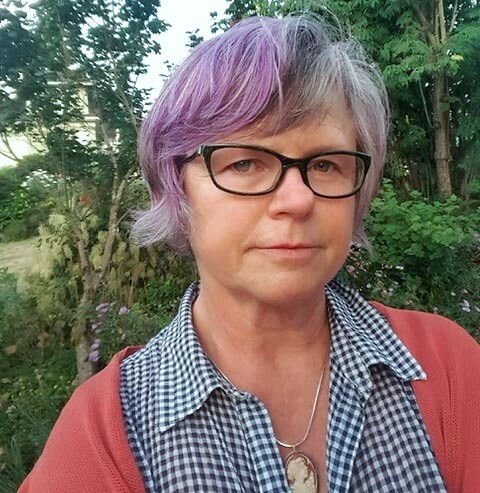 Karrie was a founding member of the Madison Valley Merchants Association and continues to participate as an important voice for the organization. It was the work of the Merchants that gave Madison Valley its current identity. Previously, our community was just a neighborhood between Madrona and Montlake. Dilapidated buildings, drug dealing and general scruffiness lent an unwelcoming and sometimes frightening atmosphere here. She and others worked tirelessly to upgrade the business corridor into the pleasant experience we enjoy today. Karrie says the framing side of her business is rewarding. “It’s a great feeling of accomplishment to begin and finish a project on one’s own. To stand back and see how the framing complements and enhances the art is wonderful!” She explained that it takes at least a full year of training to become a proficient framer. Baas Framing has a terrific staff of three professional picture framers: Julia Ricketts, Peter Kelleher and Heather Wehman. They enjoy a generous benefit package. A teen internship is offered during the summer. In addition to the framing business, Karrie hosts works from local artists on consignment and provides exhibitions. Everyone benefits—the artists receive much deserved exposure, and community members are able to appreciate their talented neighbors. Karrie has a pleasant place for patrons to browse and get to know her business. Karrie says that it was difficult to ride out the last recession. Several businesses were forced to close. However, she has a loyal clientele that trusts her eye and she was able to survive. Experiences like the recession have deepened Karrie’s commitment to patronizing small, local businesses. She is an avid proponent of seeking out independent merchants that survive on their community’s appreciation of great quality and service. Karrie Baas has had an integral hand in the development of our vibrant shopping district. As a community, we applaud her work for the betterment of everyone in the neighborhood. Thank you, Karrie! Great article. I know you have worked hard & remember well the days when we framed together. You go girl! Keep up the great work in your community! Karrie does have a wonderful eye when it comes to helping you choose a frame for that one piece of art. Her shop is unique and I enjoy looking at everything she has in there. Thanks again Cathy for your opening the door to an interesting member of our community. I love getting to know people who work and add to this vibrant community.